Concealer. Used to conceal... imperfections? Umm, let's just say those dark circles and blemishes. We are all naturally perfect, obviously. I have used concealer probably for only special occasions, like going to dinner with my BF on Friday nights, and even then sometimes I forget. I use to be that crazy person that wakes up like 2 hours before I have to leave the house just to do my makeup. I know it sounds ludicrous, but I love makeup and would wake up at anytime for it. Lately, I've gotten lazy and not gotten up early and have not been using it. I have made it a goal to get up early and do my makeup and maybe even my hair, because it's something I truly enjoy doing. If I am happy in the morning, the rest of my day will make me happy, at least that's how I see it. I normally use concealer to brighten up my undereye area so that way I don't look so exhausted, which to be honest, I always am so I should probably start using it more frequently. But anyway, my routine is usually primer (Hangover RX), foundation - whatever one I feel like using that day from my drawer, and then concealer. 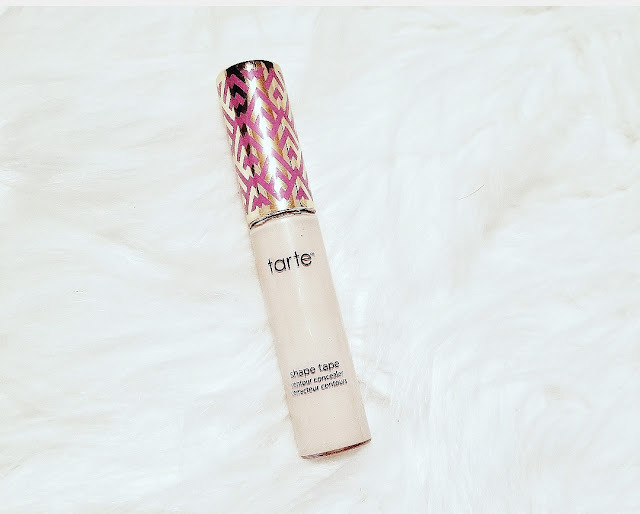 The one I have been loving lately is Tarte Shape Tape Concealer, which is available at Ulta and I'm sure many department stores. 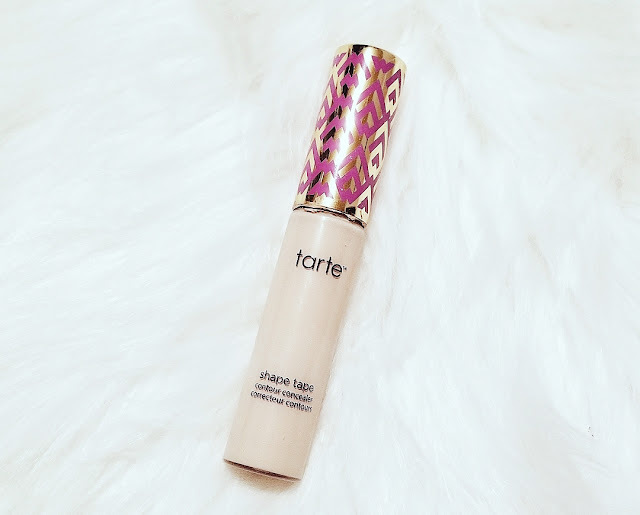 It's actually on a 25% sale right now on Tarte's website,which ends TODAY!! I have been loving this concealer because it just blends so nicely and a little bit goes a long freakin way. I had watched some beauty gurus on YouTube use it and they would make the triangle shape underneath their eyes so when I first got it, I did that too and oooo girl that was WAY too much. It look me forever to blend it out and by the end, my whole face was covered in concealer. Do not make the same mistake that I did and use just a tiny dot or two under your eye. Trust me, that is way better than looking like a ghost. If you need to add more after you blend that out, you can certainly do so but I'm just giving a fair warning that you don't need a lot of it. This is actually a good thing because for the price of it and the amount that you get, using it will probably last you a year, if not more. I would recommend using a beauty blender to blend it out, but if you feel that a brush does a better job, you do you girl. This concealer covers a lot in just a little bit of use. I have seen my undereye go from dark to flawless just by using this product. It will cover what you need it to cover but also brighten. I don’t know if I would necessarily recommend this as a blemish cover because the concealer color you want to get is usually a shade or two lighter than your foundation/skin color, but what you can do is use it before foundation, cover the blemish, and then use foundation over it and it won't look bright or standing out. I would say this product does exactly what I need it to do and would recommend it to anybody needing a great concealer. It has great coverage, a little goes a long way, and the quality is amazing. I've heard that their foundation in the line is also pretty good, but have yet to try it. Please let me know if you have and if you would recommend it!